We often come across somethings in our life, habits, people which we want to leave, ignore, hate but we are never able to do that. One such thing, a habit is negative thinking. Negative thinking the phrase itself indicates negativity. We in our journey of life come across thousands of situations, situations wherein decisions taken will have severe consequences on the future. It is the then frame of mind, your thoughts, intuition the way u look at that situation that leads you towards a solution for that situation. It is therefore very important to always be positive, to look at positive side of a situation, to have a positive frame of mind in all circumstances, situations that life throws at you. 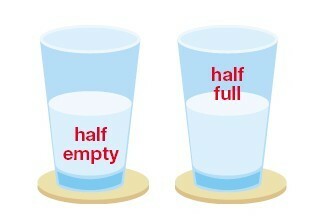 What makes people think negative is the frame of mind which they carry. It seems that with most people positive thinking requires some effort, whereas negative thinking comes easily and uninvited. This has much to do with education and the environment one has been living in. If you have been brought up in a happy and positive atmosphere, where people value success and self-improvement, then it will be easier for you to think positively and expect success. If you have been brought up under poor or difficult situations, you will probably go on expecting difficulties and failure. Thinking that you will fail. Often thinking about the difficulties. Not having a best friend or a close relationship with anyone due to fear of losing them one day. Thinking that u don’t deserve anything in life. The above mentioned are few thoughts of a negative thinker. So what should be done??? 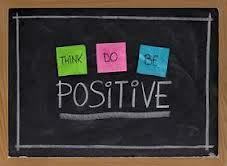 Whenever a negative thought creeps in your mind, think about something positive. God has given us the power of imagination so visualize dream imagine positive things about your life. Even IMPOSSIBLE says I-AM-POSSIBLE so believe in yourself, there is nothing a human cannot achieve. Meet people; make friends, interact more LIVE FOR THE MOMENT and stop worrying about the future. TRUST BELIEVE AND FOLLOW that “Positive thinking will let you do everything better than negative thinking will”.